1. Credentials Perhaps the most important factor that you should be considering when you are attempting to identify the right arborist to hire for the job would be their credentials. You want to hire an arborist with all of the necessary credentials. Not only should you be looking to see whether or not they are a member of a professional organization like the International Society of Arboriculture, but you also want to check to see if they are a member of the Tree Care Industry Association. Each of these will help you weed through the options on the marketplace to ensure that you are hiring a company with a proper commitment to upholding the best standards within the industry. 2. Up-To Date-Insurance Another major factor that you want to consider when hiring a company like this is insurance. You want to be sure that the company you end up hiring has the appropriate coverage to protect yourself. This is easily one of the most important factors that you should be considering because you don't want to hire a company with insufficient coverage only to find out that you are going to be held liable for potential accidents or damages that occur on your property. Hiring a company with the appropriate coverage and level of coverage can make this a non-issue. 3. References You want to identify a company with a proven track record. There is no better way to do this than to ask for a list of references that you can contact. Any reputable arborist is going to have a good list of references that you will be able to contact to discuss their experiences with the company. By finding a company with an extensive list of references, it should allow you to feel much more confident in your hiring decision. Without a long list of references, it can be difficult to trust that you are making a wise hiring decision. 4. Detailed Estimate You also want to be sure that the company you end up hiring is both willing and able to provide you with a detailed estimate of what they will be charging you for and how much they will be charging for it. Having a detailed estimate is a great way to ensure that you are getting good value for your money and to ensure that the company is going to be fully transparent with their pricing. This should help you avoid hiring a company that attempts to hide various fees to win the job. 5. Expected Duration Of Project Another factor that you might consider is the expected duration of the project. You want to identify how long they anticipate it is going to take to finish the project. Doing this will allow you to effectively compare different project scopes with other companies in the industry. This alone is going to give you a good idea on how efficient the company is and whether or not they are going to be able to accomplish it within the industry standard projected duration. 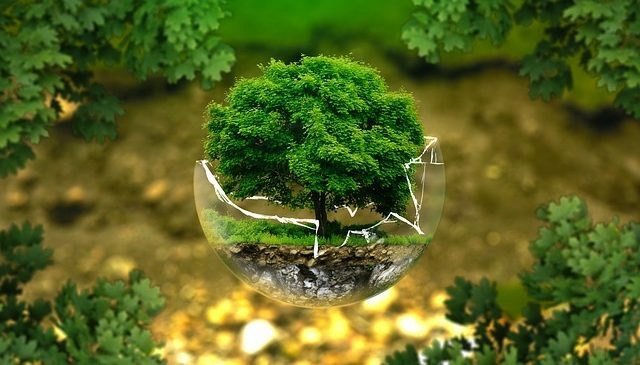 Overall, there is a lot that you are going to want to take a close look at to ensure that you are able to identify and choose a reputable arborist for your property's tree care. By following the various tips above, you should be in a great position to identify and choose the right company for the job. Looking for a company with the appropriate certifications and insurance is key to minimize the risk factor associated with hiring the wrong arborist.When people think about hiring an arborist, they generally think they should only do this when something is wrong with their trees. Arborists are able to help with more than the removal of trees and the diagnosing of issues. 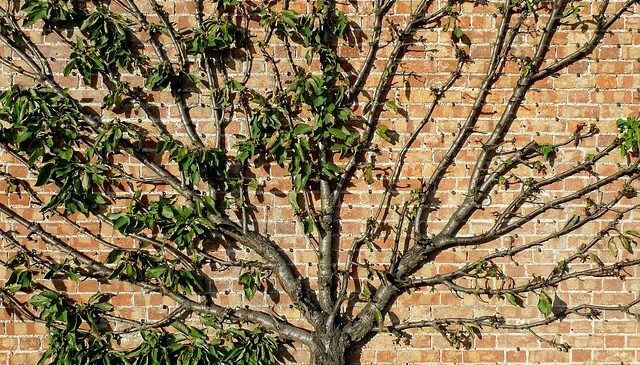 While it is important to understand this, you also need to know why you should be hiring an arborist to prune your young trees. Incorrect Pruning Can Cause More Harm Than Good A lot of people do not realize how important proper pruning is, particularly when the tree is still young. When you do this incorrectly, you will cause more harm to the tree and could eventually kill the tree. If you are not going to prune your trees correctly, it would actually be better for them to not prune them at all. It is important to note that every tree will have different pruning need. The pruning techniques for a spruce will be very different to that of an oak tree. This is something that arborists understand and they will be able to determine when the pruning needs of your young tree are. Young trees actually have very particular pruning needs that arborists will know about and be able to implement to ensure the trees grow correctly. Tree Pruning Is Actually Dangerous When you have a young tree, you might not think that pruning it is very dangerous. This is particularly true if the tree is not very tall. However, all tree pruning is dangerous if you are not doing it correctly and not taking the correct safety precautions. Professional arborists are trained in safety measures to ensure that they and all bystanders are safe when they prune a tree. Arborists will also have training in using the tools of their trade and this ensures that they are not injured. They will also be able to limit the damage which is done to any property by the pruning. Training Young Trees Pruning young trees is important for a number of reasons with one of the primary ones being to train them. Training your tree will ensure that it grows in the manner that you want and will not cause problems to the property or other objects around it. This could be the roof of your home or the telephone wires running close to where the tree has been planted. Training young trees is also important to ensure that they grow stronger. A strong structure is required to have a strong adult tree and this is achieved while the tree is young. Training the tree correctly is best left to an arborist as they know how to do this in a way that will not harm the tree at all. There are many reasons why you should hire an arborist to prune young trees. Arborists will be able to prune the trees correctly which ensures that they are trained for strength. They will also be able to prune the tree in a safe manner which reduces the hazards of this process.Trees are important to provide shade and beauty in your backyard or garden. While trees improve the living conditions of your property, there are many factors that can contribute to the deterioration of the tree. That is the time that the tree/s may be at risk of damaging the property or even injuring the homeowners. Hence, it is important to recognize when the trees in your backyard or garden are at a risk of damaging the property or injuring people. Here is how to recognize when a tree or trees in your garden may be at risk of damaging the property or even injuring your loved ones. Dead branches are some of the most common defects of trees in your garden. In case a branch has been dead for some time, it may look stubby over time. That is because the smaller twigs would naturally break off. Although some decay-resistant tree species may hold on to dead branches for many years, the dropping of dead limbs is inevitable over time. In fact, they may drop during severe or less severe weather conditions in the area. On the other hand, broken or partially hanging will always be in a state of failure and may drop at the first instance - whether during severe or calm weather conditions. Wood decay occurs when the wood is broken down by micro-organisms or due to the exposure of extreme weather conditions. Wood decay might be difficult to see at first. But once detected, it may be quite hard to assess its significance into the tree. The presence of conks and other fungal bodies, carpenter ants, and animal nesting holes are some of the sign of decay. In case you notice some of these features in a tree in your garden or backyard, you should call a professional tree service in the area to further inspect and evaluate the situation and decide whether the tree poses a risk of damaging your property or injuring your loved ones. Cavities are usually the sites of past injuries to the tree. They act as a point of entry for decay fungi. An arborist could assess the condition of such a tree/s and recommend the right kind of action to you. On the other hand, a tree can develop leans for a number of reasons. Leans usually occur when a tree grows away from an object such as a neighboring tree or a structure and in search of sunlight. In case you have such a tree in your backyard and you think that it may present a danger to the property or your loved ones, you should call a professional tree service company in the area to deal with the situation. These are some of the most important things to consider when recognizing whether a tree in your garden may be at risk of damaging the property or your loved ones. The aforementioned article provides information on some tips to recognize when a tree in your garden may be at risk of damaging the property or injuring your loved ones.